"I'm not sure if I'll put myself through the Hansons method again. I like to run, but I don't want it to take over my life." - Jen Miller writing in the New York Times after using the Hanson brothers' training program to garner herself a 16-minute marathon PR. 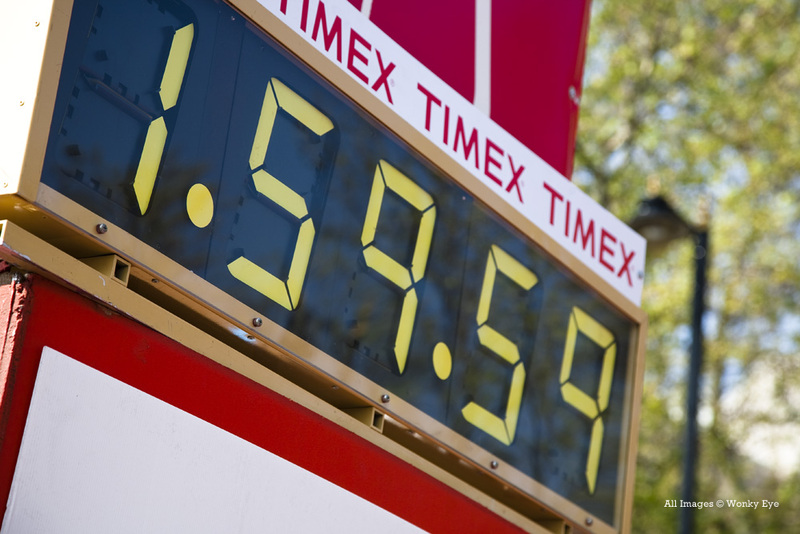 Memo to the world: Yes, to be better at distance running, you actually have to run a lot. Do the Brits have their own version of Mary Cain in 15 yr old Bobby Clay who has run 2:06/4:22? LRC Preview Kiprop Vs. Kiplagat And Willis At 1,500, A Stacked Men's Steeple, Dibaba Vs. Defar At 5,000, Pamela Jelimo At 800, And More When you get the best in the world together, it's normally quite special. In addition to the great mid-d and distance action, there also are gold-silver rematches at 110H in Aries Merritt and Jason Richardson and 400 with Kirani James and Luguelin Santos. And the best part is you won't have to skip work to watch it. Stick the kids in front of the cartoons and watch it live for free. Kenya's World 5,000m Silver Medallist Sylvia Kibet To Launch Campaign At Shanghai DL "Everyone is focused on the big competition. It is a process, a journey that starts at the beginning of the year. For me, Shanghai Diamond league will be my entry." Recommended Read: Only A Few Months After Losing His Dad To Cancer, Aussie Joel Pocklington Wins 3rd Pole Vault National Title After winning, Pocklington stopped going for a higher height as he was just sad his Dad wasn't there to enjoy it with him. MB: 21-yr old Laura Weightman runs 8:43.46 for 3k to open up 2013 Weightman is very, very good. Basically as good but a year younger than Jenny Simpson was in 2009 and Simpson is now a World Champ. Oregon Signee Christian Brenann Of Canada Hoping To Break 51.70 In Upcoming Meet The #1 time in college is 51.57. Silas Kiplagat Talking Very Big Prior To 2013 DL Opener In Shanghai: "I am in top form like never before and I want to prove myself at the world champs." Running Science: Kenyan/Ethiopian Dominance - Is It In The Genes? Latest Study On African Running Supremacy Argues For Importance Of Genes The Science Of Sport blogger Ross Tucker and his colleagues say that Kenyans don't necessarily have "better" genes, they have more people with "good-enough" genes so start with a bigger talent pool that rises to the top. Drink Up: Study Reports How Under-Hydrating Affects Your Next Day's Run The study found that participants ran about about 3% faster the next day for a "hard 10k" when they rehydrated 150% of sweat losses compared to when they replaced only 75%. 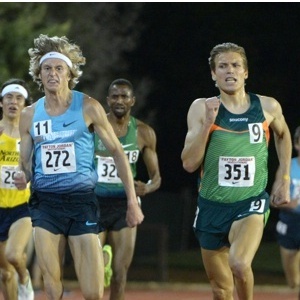 Daily Relay 5 Questions With Ben True, Who Says His Focus For USAs And Moscow Is The 10k Talking about the Payton Jordan 5k, he said, "I didn't think I would have to lead as much of the race as I did, but figured that I'd rather lose the race and get the standard, than win and miss the 'A.' Luckily, I was able to do both." Good Blog Post From Lauren Fleshman Reflecting On Her Pregnancy And Future In The Sport "It might surprise you to know that my biggest fear is not that after all the struggles to balance running and family, I will come up short again. No. My biggest fear is that if I ignore the competitive spirit that has been gaining strength inside me ... I will regret it." RW Q&A With Villanova Junior Emily Lipari, Who Anchored Her Team To Victory In The Penn Relays DMR And 4 X 8 She says she won't run US Champs this summer because she wants to be focused on her final cross-country season. Video Report: US Ultra Runner Sage Canaday Gets 3rd In La Palma 51.8 Mile Ultramarathon That Went Up And Over Volcanoes In The Canary Islands Spain's Kilian Jornet won the race. Rumors Circulating That UK Head Coach Peter Eriksson Is Ready To Quit After Only 7 Months Into What Was Supposed To Be A 5-Year Contract He tweeted that he isn't going anywhere. More is expected to come out in a press conference today. Performance Director Neil Black Says UK Athletics Will "Come Back With A Vengeance" In 2013 With "More People Winning Medals"
Oregon's Elijah Greer Shares Some 800m Tactical Advice: "There is an advantage to being the first mover. When you can get a surge, get your move in, everyone is reacting to you ..." "... So if you can have five meters on someone, that means in his last 300 meters he has to run an extra five meters." USTFCCCA NCAA Weekend Highlights: Arizona's Lawi Lalang And Brigetta Barrett Are DI Athletes Of The Week Lalang dominated the PAC-12 1,500 and 10,000 in meet records and Barrett set the NCAA HJ record at 6-6¼ (1.99m). World 24-Hour Championships: IAAF Recap Of World 24-Hour Championships: American Jon Olsen And Japan WR Holder Mami Kudo Win Individual Titles Olsen ran 167.568 miles in 24 hours (8:35 pace), while Kudo ran 156.712 miles (9:11 pace) as US's Sabrina Little placed 2nd, breaking the American record with 152.030 miles. Elspeth Curran Won Bupa Great Woman's 10k In 34:59 Olympians Jo Pavey (5 months pregnant) and Sonia O'Sullivan both participated. Peter Callahan Talks To HepsTrack.com About His Move To New Mexico Next Year "I wanted to be at a place where I could continue with Environmental Studies, which is my minor as an undergraduate, while at the same time carry on with running in the NCAA." US Army Conducts Study Which Finds No Difference In Performance Or Injury Rate Between Heel And Non-Heel Strikers Heel strikers and forefoot strikers had the same average time for a 2-mile time trial and reported similar injury frequency. Armed Marathon Registrant Stalks & Threatens Race Director At Flying Pig Marathon He was taken away by police and hospitalized for mental evaluation. 2014 Glasgow Commonwealth Games Making More Tickets Available And At Cheaper Prices, Trying To Avoid The Controversies They Had With The London Games Of course it's easier since a lot less people want to go to the Commonwealth Games and they cost way less to organize. Qatar's Nicholas Kemboi (2:08:51) And Kenya's Caroline Rotich (2:27:00) Win Prague Marathon Rotich has won Cherry Blosom and the NYC Half prior to this this year. Olympic Champ Mizuki Noguchi (70:36) Wins 1st Race In 5 Years At Sendai Half Marathon Mekubo Mogusu won the men's race in 1:01:54 as Yuki Kawauchi was 10th in 1:03:30. Oregon Men And Women Sweep PAC-12 Titles For 5th Consecutive Year The men won with 149.5 points to USC's 108 as the women beat Arizona 139 to 123. Lawi Lalang Dominates PAC-12 1,500 And 10k He won the 1,500 by more than 3 seconds in 3:38.53, running away from the pack early. 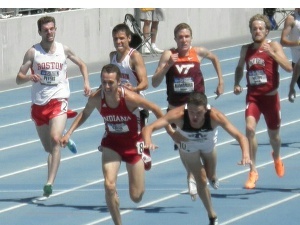 Mac Fleet was 3rd (3:42.20). Lalang won the 10k in 28:14 with OU's Parker Stinson 2nd back in 28:56. Colorado Steeplers Win Steeplechase Titles: Emma Coburn Won Comfortably In 9:55 Aric Van Halen won in 8:41. Big 10: *Full Results *Nebraska Men Win Big 10 Title For First Time Minnesota's Abda Harun won the 800 over Cas Loxsom (1:48.64 to 1:48.67), IU's Andy Bayer doubled up, winning the 1,500 (3:44.24 over Robby Creese's 3:45.39) and 5k (13:54.71 to Connor Reed's 13:54.90). SEC: *Full Results Arkansas, Texas A&M Win SEC Outdoor Championships Kemoy Campbell won the 5k in 13:57.17 over Henry Lelei (13:58.02); Lelei took the steeple in 8:38.11 to Stanley Kebenei's 8:40.23. LSU's Natoya Goule won the 800 in 2:01.12 and Arkansas' Patrick Rono took the 1,500 in 3:50. Next Weekend: World Cross-Country Champions Japhet Korir And Emily Chebet Lead Fields For May 19th TCS World 10K Bangalor Road Race Korir will face Moses Masai, Ukranian Sergiy Lebid and GB's Scott Overall, while Chebet will race Lucy Kabuu and Pascalia Kipkoech (second-fastest woman over road 10k in 2012). LA Times Reports That Security Assessment 5 Days Before Boston Cited The Finish Line's "Vulnerability"
MileSplit Weekend Coverage: Edward Cheserek Anchors St. Benedict DMR Team To The Win With A 4:03.63 At Loucks Games Their overall time was 10:06.45. *MB: Cheserek 4:03 mile! Commonwealth Games 5,000m Bronze Medalist Mark Kiptoo Dominates 10,000 At Kenya Defence Forces Championships He won in 28:55 as Gladys Cherono won the women's 5,000m in 16:44 over three-time World Cross-Country runner Lineth Chepkurui (16:45.1) and World Championships marathon bronze medalist Sharon Cherop (16:46.1). In today's women's 800 final, Winnie Chebet will face Nancy Jebet Lagat and Hellen Obiri. Brett Larner Previews The Next Few Weeks Of Competitive Track Action In Japan 2007 Osaka World Championships bronze medalist Martin Mathathi will lead 10,000m field on Saturday at the Golden Games where they will be trying to get under the 27:40 World Champs "A" standard. French TJer Teddy Tamgho Competing At Home On Sunday And Going For The World Champs "A" Standard Of 17.20m He holds the indoor WR at 17.92m, but has been out over year with injury and has only jumped a 16.76m in late March. Recommended Read: RunBlogRun Looks Back At The Career Of Khadevis Robinson And Talks To Him About His Plans For 2013 With a wife, two kids, and a full-time coaching job at Ohio State, KD isn't sure what we'll see from him in 2013 or if he'll even be at US Champs in Des Moines. Good RW Q&A With Nick Willis, Who Is Taking An Approach To His 2013 Racing/Training Schedule More Like The One He Did In 2008 When He Won Olympic Silver Very interesting that his wife actually has a large say in his training and he gets her input on every workout beforehand. She's also there during the workouts along with coach Ron Warhurst. Willis Concedes That His 7-Race Win Streak This Season Will End At adidas GP 800 Against David Rudisha The field will also include Olympic bronze medalist Timothy Kitum, Robby Andrews and Erik Sowinski. David Rudisha And His Coach Brother Colm O'Connell Say He Is Still Motivated To Keep Winning After A Dream Season In 2012 Rudisha: "I have won all titles an athlete can ever wish and dream to become but I want to be motivated because they are those who have defended them several times." Good Read: Meet Jack Holden - The Oldest European Marathon Champ In History Holden, who was born in 1907, was a marathon star in his 40s. San Diego Tribune On Mary Cain's Great Run Nice read by Mark Zeigler. We wish people would stop comparing Cain to Mary Decker. Mary Decker has a drug offense on her record and is not someone to emulate. Results: Duane Solomon Wins 800 In 1:46.54 Over Erik Sowinski And Lopez Lomong; Brenda Martinez (1:59.59) Wins Women's 800 As Mary Cain Runs 2:01.68 In 4th (updated with splits) In the mile races, Paul Robinson won in 4:04 after the field went out in 2:10, beating Jordan McNamara in 2nd (4:04.71); David Torrence was 6th (4:05.38). For the women, Susan Kuijken won in 4:27.13 over Brie Felnagle (4:28.90). *Kenyan James Kirwa Defends His Title To Win Pittsburgh Marathon In 2:13:37 As American Mary Akor Won The Women's Race In 2:37:35 Kenyans Julius Kogo and Risper Gesabwa took the 13.1 mile titles in 1:02:32 (CR) and 1:13:16 respectively. *HS: Oregon Recruit MaryBeth Sant Runs High School Leading 11.38 To Win 100 At St. Vrain Invitational In CO She also ran 23.91 at the same meet. Big 12: *Big 12 Full Results *Texas Men, Kansas Women Claim Big 12 Titles Both meets were close with Texas beating Oklahoma 146.5 points to 133 and Kansas winning with 158 over Texas with 145. Final day highlights included Oklahoma going 1-2 in the 1,500 as Patrick Casey set a Big 12 record of 3:40.04, beating out Riley Masters (3:41.22), OK State going 1-3 in the 5k led by Kirubel Erassa (13:53.53), who won over Girma Mecheso (13:54.62) and Tom Farrell (13:55.47), Betsy Saina winning the 5k by 33 seconds in 15:41, Natalja Piliusina winning her 3rd straight outdoor 800 title in 2:03.99 and Texas' Trevor Van Ackeren winning the steeple (8:49). Heps: *Full Men's Results *Princeton Men Win 3rd Straight Heps Princeton was trailing Cornell, but put 3 in the top 5 of the 5K to pull ahead, led by Michael Franklin's win (who also won the 10k). Princeton's Peter Callahan won the 1,500 in 3:49.74. *Full Women's Results *Cornell Women Defend Heps Title, Beating Columbia By 24 Points Abbey D'Agostino dominated the 1,500 in 4:11.94 and also won the 3k in 9:21.79. Cornell's Rachel Sorna won the steeplechase in 9:58.96. All-Americans Sorna and Katie Kellner had impressive distance triples, each winning their specialty event, to help the Big Red cause. Big East: *Men's Results *UConn Men Win Their Big East Crown In Close Battle With Notre Dame Notre Dame's Jeremy Rae won the 1,500 in 3:47.76. *Women's Results *Notre Dame Women Dominate Big East Championships Villanova's Emily Lipari won the 1,500 in 4:24.25. LRC Book Review By Former Hog Marlon Boykins: "Two Thumbs Up:" - "The book is full of insight into the hard-working, team-first ethos that made us such a successful." We had two people review the book, including the 1:47 man Boykins, who was at Arkansas at the pinnacle of its heyday. "It was a self-contained UBER-COMPETITIVE atmosphere ... the sprinters, jumpers and distance guys all trying to show which group reigned supreme ..."
Book Excerpt The Legendary Story Of The 1989 Penn Relays DMR, Where 4 Kids From Arkansas, Texas And Missouri Beat 4 African Olympians And The Olympic 1,500m Champ The 1989 Mount St. Mary's Penn Relays DMR team featured 4 African Olympians, including 1988 Olympic 1,500m champ Peter Rono. John McDonnell's Arkansas squad featured 4 kids from Texas, Missouri and Arkansas. A legendary motivational speech by McDonnell and Joe Falcon on the anchor made for one of the great upsets in Penn Relays history. Read all about it in this excerpt from the new John McDonnell biography. LRC Review #2 John McDonnell D2 Coach Torrey Olson We had Olson, who has an MFA in creative writing, give his take. "It's got a lot to offer anyone interested in an incredibly sustained passion for the both the sport and the profession." Japan Running News Looks At Japan's Stellar University Runners (Three Sub-28s In Recent Weeks) And Compares Them To US Runners In the process, he seems to take a swipe at flotrack for plagiarism. 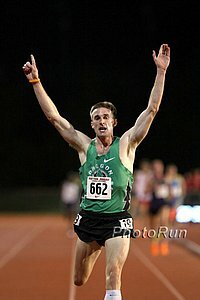 LRC Quick Preview Of 2013 Oxy USATF High Performance Meet Preview includes Oxy heat sheets & rabbit info. Alberto Salazar Talks Prior To 2013 USATF Oxy High Performance Meet His #1 goal - an "A" for Matthew Centrowitz. Morgan Uceny And Anna Willard Competing At Loughborough International Athletics At "Paula Radcliffe Stadium" Article doesn't say if they're in the 1,500 or 800; if they're in the 1,500, they'll face Brit Lisa Dobriskey. UK hurdler Perri Shakes-Drayton also competing in the flat 400. Wilson Kiprop Has To Fight But Wins 10,000 At Kenya Prisons National Athletics Championship The 2010 world half champ bounced back from his 2:19 marathon in Hamburg last month (after running 59:15 in March). Q&A With The 4th Fastest 10,000 Runner In History, Nicholas Kemboi, After His First Marathon Victory In Prague Kemboi, who has maintained his Christianity after his citizenship switch from Kenya to Qatar, is aiming for the Moscow World Champs now. 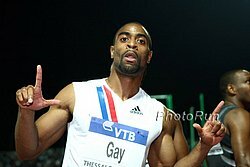 Tyson Gay Picks His Top 5 Track & Field Races Anyone remember when Gay smoked Bolt at 200m in 2007? Seb Coe: "I will stand for IAAF Presidency only if Diack doesn't run for re-election as expected." Next Weekend: Blanka Vlasic Will Return To Competition For 1st Time Since Surgery 16 Months Ago At Next Weekend's adidas GP In New York Men, get your tickets now. May 26: Ryan Hall Running Costa Rica Half Marathon In San Jose "I'm not sure what kind of shape I'm in. I haven't raced yet this season but [have] been training hard and feeling good in my running so I'm excited to go and test myself." May 30: A Ton Of Prize Money On The Line For The Big River Festival Of Miles Elite Mile On May 30th In St. Louis Field has 9 sub-4 guys, including Aaron Braun, local favorite Stephen Pifer (3:56), and 3:54 miler Pablo Solares. In Two Years, VCB Foundation Has Given Cose To Half A Million Dollars To Help HSers With Their Eductions We assume this is Jamaican dollars, so it's about $5,000. Kenya Sets Up Anti-Doping Center In Eldoret AK president Isaiah Kiplagat: "WADA is very concerned that the government was not giving the matter of doping the seriousness it deserves. Kenya's credibility is being doubted in the athletics world and that is a matter we take very seriously. We must end it." *WADA Urging Kenyan Government To Set Up Independent Inquiry Into Doping Allegations, Saying Previous Investigations Have Been Insufficient WADA labeled Kenya as a global doping hot spots and a "location of choice" for would-be dopers. Tenacity: Spikes Looks At US 400 Hurdler Michael Tinsley's Long Road To An Olympic Silver, Which Saw Him Go Sub-49 Seconds For 9 Consecutive Seasons But Unable To Make A US Championship Team "Winning a medal was wonderful. ... I now get the chance to talk at schools where I tell them to follow their dreams. I tell them I used to finish fourth and barely make it. I tell them not to let life get you down and stay focused." IAAF Profile On US 400 Runner Ashley Spencer, Who Skipped The Trials Last Year After Winning NCAAs To Focus On World Junior Champs, Where She Won Even though she's won major championships in the 400, she says she's a hurdler at heart. Veronica Campbell-Brown Says She Was "Sleeping Somewhat" And Got Bad Start During Season Opener At Jamaican Invitational She came back from fifth place midway the race to nip Trinidad and Tobago's Kelly-Ann Baptiste to win in 11.01. Sunday: Ryan Hall Racing For The First Time Since London At This Sunday's Bay To Breakers 12k Hall will face Ethiopians Tesfaye Alemayehu and Tolossa Gedefa Fufi, as well as US's Bolota Asmerom. The women's field is led by NYC Half runner-up Diane Nukuri-Johnson, who will face top Americans Michelle Frey and Chelsea Reilly. Saturday: PV WR Holder Yelena Isinbayeva Starting Her Season At Shanghai DL Meet And Looking To Get Back On Top Of The World Ranks Russian Athletics President said, "She has been training hard. She wants to come back stronger than ever." June 1: Bernard Lagat And Galen Rupp Face A Loaded 5,000 Field At Prefontaine Classic They'll face Chris Derrick, Olympic bronze medalist Thomas Longosiwa, sub-12:50 runners Isiah Koech, John Kipkoech and Yenew Alamirew, 2008 bronze medalist Edwin Soi, Cam Levins, Collis Birmingham and Emmanuel Bett. 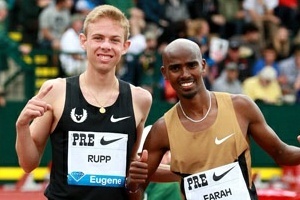 Mo Farah could be a late addition as he is still deciding between the Pre Classic 5k or 10k. June 13: Will 13 Be Lucky Number In Oslo For Two-Time Olympic Jav Champ Andreas Thorkildsen? He'll face a competitive field for the DL meet. August 29: Usain Bolt Will Compete At Final Diamond League Meet In Zurich As yet to be decided whether he'll do the 100 or 200. IAAF Profile On Russian LJer And Model Darya Klishina, Who Failed To Qualify For The London Olympics After Coming Back From Surgery At The End Of 2011 Article asks if she will she become the next Maria Sharapova and be known for her looks and athletic achievements or another beautiful Russian blond like Anna Kournikova, who never won a major championship. Aries Merritt: "I think that the [110 Hurdles] world record will come down below 12.8. Soon." Jamaican Writer Says Jamaican Female Sprint Hurdles Are In Trouble As Their Top 100 Hurdler Right Now Is Only 22nd In The World He hopes that former Olympic 400H champ Melaine Walker, who has switched to the 100m hurdles for this year, can bring Jamaica some glory in the event. MB Tyson Gay Runs 19.79 In only his 2nd 200 since 2010, Gay runs a time that would have won him the bronze at the Olympics. LRC Mohamed Trafeh Sets US 25km Record (1:14:18) At 2013 USA 25km Champs At Fifth Third River Bank Run Dot McMahan won the women's title as Matt Tegenkamp was third in the men's race. LRC 2013 UAE Healthy Kidney 10-K: Leonard Patrick Komon (27:58) Wins But Comes Up Short In Bid For $30,000 Course Record American Meb Keflezighi returned to racing for the 1st time since London and finished 9th (28:57). 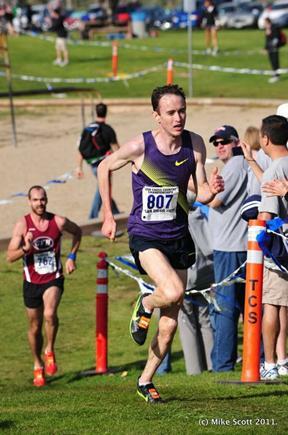 The field was so stacked that Stanford 10,000 winner Ben St. Lawrence was only 10th. *Pre-Race Q&A With Meb Before His Return To Racing Interesting fact - Meb was healthy enough to run 10 miles the day of Boston and Meb was at the Boston finish just before the bombs went off. MileSplit Weekend HS Coverage: Ben Malone Takes Down Edward Cheserek In Loucks Games Mile, 4:09.73 To 4:11.19 Sabrina Southerland won the 800/1,600 in 2:06.97/4:47.23. At Texas State Champs, Robert Domanic won the 3,200/1,600 in 8:57.95 and 4:07.49 and freshman Madie Boreman won the 1,600 in 4:48.16 after placing 2nd in the 3,200 (10:39.29). Great News: WADA Confirms Changes To World Anti-Doping Code Which Will Double Length Of First Offense Bans From Two To Four Years The decision now has to be confirmed when it is presented to stakeholders on November 12 and will take effect in 2015. Besides longer bans, the code will help WADA to punish the athlete's accomplices - such as coaches and teammates. Nick Symmonds Might Be The Next Star Of Reality TV Show "The Bachelor" "People may say that I do this stuff just for publicity. To those people I say, so what if I am? The sport of track and field needs more publicity." Alberto Salazar Says African Dominance In Distance Running Is A "Numbers Game" And To Beat Them Non-Africans Have To "Do Everything Perfect" "That's how I feel, we've just got a couple of diamonds and we've got to polish them perfectly to compete against the tons of raw diamonds coming out of Kenya." Guardian Q&A With Haile Gebrselassie, Who's Racing A 10-Mile In Sweden Next Weekend He says he no longer does speedwork, just longer runs to avoid injury, talks about his first-ever race, and did you know he had this song playing in the stadium on many of his record runs? 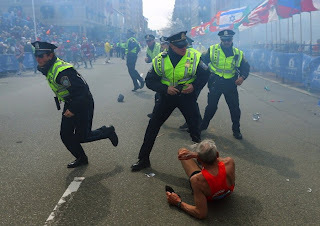 Recommended Read: Religion Blog: What Truths Does Iconic Image Of Boston Marathon Truly Capture? "Just as Jews pray to celebrate Passover 'next year in Jerusalem' and Muslims pledge to visit Mecca, marathoners want to 'run Boston.'" *More Boston: Runners Start An Online Petition To Grant A Spot In The 2014 Boston Marathon To The 5,700 Runners Who Were Stopped Before They Could Finish More than 21,000 have signed; the BAA say they haven't made a decision yet. RR#2: John Mayer: Western State's Ian Butler On Remarkable Run In Life's Goal To Succeed The D2 All-American suffered two brain injuries as a kid and has had people tell him he's retarded and the memory of a goldfish. Hanging out with the wrong crowd in 9th grade, he's now of track to be a college grad. 7 Olympic Champions Highlight Fields For Saturday Shanghai DL Meet: Meseret Defar Will Face Linet Masai, Sylvia Kibet And Genzebe Dibaba In The 5,000 Asbel Kiprop will take on Silas Kiplagat, Mekonnen Gebremedhin and Nixon Chepseba in the 1,500, as Brimin Kipruto leads a steeple field including Paul Koech, Richard Mateelong and Abel Mutai. Pamela Jelimo is the top name in the women's 800m. Other highlights include Kirani James vs. LaShawn Merritt and Luguelin Santos in the 400, Yelena Isinbayeva in the PV, Warren Weir vs. Justin Gatlin in the 200, Shelly-Ann Fraser-Pryce vs. Carmelita Jeter in the 100 and Aries Merritt and Jason Richardson in the 110H. Pretty Amazing: 15-Year-Old Legally Blind Charlotte Brown Is One Of Best Pole Vaulters In Texas She is pretty good as she qualified for the state meet with 11-6 and said she's recently jumped 12-5. Australia's Harradine Throws Area Discus Record And World Lead With 68.20m It was the 2013 opener for the 2011 4th placer. Meet Recap: Olympic Steeplechase Bronze Medalist Abel Mutai Easily Wins Heat In 8:44 To Make Today's Final At Defence Forces Athletics Championships Peter Mateelong, the younger brother of two-time Africa steeple champ Richard Mateelong, won the second heat. Prague Sunday: Kenyans Albert Matebor (2:05:25) And Lydia Cheromei (2:21:30) Lead Fields For Sunday's Prague Marathon Matebor faces a field with 7 men who have sub-2:09 PRs while Cheromei faces 6 who have gone sub-2:25, including Caroline Rotich. 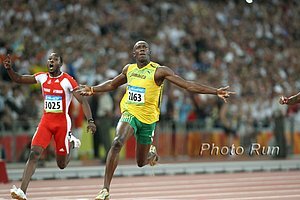 Shocker: LRC Usain Bolt Nearly Beaten - Opens 2013 Season With A Less Than Impressive 10.09 Bolt was way behind 85 meters into this race and only won in a photo after his training partner seemingly slowed on purpose at the finish line. LRC Race Video And Picture Of Photo Finish The photo finish has been released to prevent people from going off on big conspiracies. The TV camera angle was so bad, people watching it live assumed he'd lost. Bolt On His Sub-Par Race: "I'm always disappointed if I don't run under 10 seconds ... It was just a bad race." "I just did not feel the power from the blocks and when I got to 50 metres it wasn't the normal race. ... I just have to go back and figure out with my coach what went wrong." NCAA 10k Champ And Trials 2nd Placer Natosha Rogers Talks To RW About Why She Quit Running Back when the news broke there were conflicting reports, but she says she sustained a serious knee injury when she fell back in the fall and really hasn't recovered from it. She says, "I do believe I'll run again, but it'll be on my knee's terms when it's ready so I can give 100 percent." Race Video: Tokyo Steeplechase: Abel Mutai Wins, Cory Leslie 8:20 The fall at 7:20 is worth a watch. Wow: Tyson Gay Blows Away The Field With A 9.86 Victory In His Season Opener; Nesta Carter 2nd (10.03), Doc Patton 3rd (10.07) In the women's 100m, Veronica Campbell-Brown won in 11.01sec as Allyson Felix was back in fifth (11.13). *IAAF Recap: 5 World Leads, Including US's Ryan Whiting's 21.74m Throw In The SP Over Christian Cantwell (20.29m) Nickel Ashmeade won the 200 in 20.00 (WL) over bronze medalist Warren Weir and Wallace Spearmon, Luguelin Santos took the 400 in 45.15 1, US's Antwon Hicks upset bronze medalist Hansle Parchment in the 110H, Shelly-Ann Fraser-Pryce won the 200 in 22.38 as Stephanie McPherson (50.43) beat 2008 Olympic champ Christine Ohuruogu (50.58) in the 400 and Dawn Harper took revenge on Queen Harrison winning by .02 with a WLing 12.62. *Full Results *MB: Tyson Gay opens with 9.86! Women's Race: LRC Priscah Jeptoo Finishes First In Women's London Marathon Marred By Wheelchair Collision Jeptoo was very special over the second half, but the race was marred by the fact that Olympic champ Tiki Gelana was wiped out from behind in a horrific collision with a wheelchair racer. *Josh Cassidy (Wheelchair Racer Who Hit Gelana): "One of these years a woman is going to have a leg broken, a career ruined." LRC Is Tyson Gay Better Than Usain Bolt? Lawi Lalang The NCAA 1,500 Fav? Abbey D Does The 10k? Is Faith Kipyegon On Drugs? Is The PAC-12 > The SEC? This week we declare the US women's 1,500 medal chances are over unless your name is Jenny Simpson, anoint a new NCAA men's 1,500 favorite, try to move Abbey D'Agostino up to the 10k (or marathon), wonder if the PAC-12 is better than the SEC at track, ask if Kenyan star and Mary Cain slayer Faith Kipyegon is on drugs (not unless Alan Webb was), and give kudos to Brittney Reese, Garrett Heath, and the Dartmouth and Oregon State women. The World Anti-Doping Agency (WADA) Has Announced A 10-Fold Increase In The Threshold Level For Marijuana Now you'll pretty much only get busted if you smoke a joint in competition, which is a good thing as marijuana isn't banned out of competition. Florida Men And Kansas Women Stay At The Top Of D1 Rankings; Oregon Women Make A Big Jump Up From 7th To 3rd After Winning PAC-12 Oregon men also moved up to 3rd from 4th. Men: LRC Men's 3,000: Hagos Gebrhiwet Makes A Statement With Impressive 3,000 Win - 18-Year-Old Phenom Seems To Be The Man To Beat In 2013 Mo Farah's probably going to be training a bit harder tomorrow after seeing this one as Ethiopia may soon have a third king in the Haile-Kenenisa line of rulers. LRC Men's 800: David Rudisha Has To Work For It But He Opens 2013 Season With World-Leading 800 Win Rudisha put on a clinic on how to control an 800 from the front. The entire field was right behind him with 200 left but he closed faster than he did in London to win. 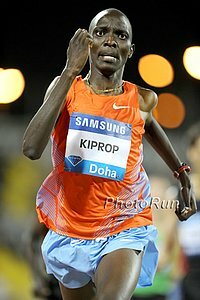 LRC Men's 1,500: Asbel Kiprop Is Back - Kenyan Dominates 2013 Diamond League Opener In Doha Kiprop may have flamed out at the Olympics but lots of people seem to have forgotten he was injured. He killed everyone in Doha. 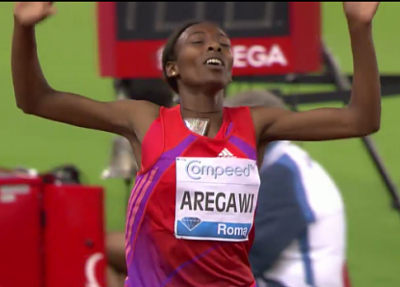 Women: LRC Women's 1,500: Sweden's Abeba Aregawi Wins As Three Women Run 3:57.54 Or Better!!! In terms of quality, the women's 1,500 was race of the night. 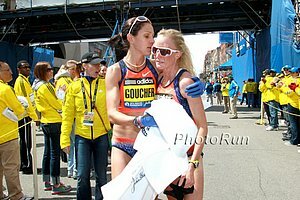 Coming into the race, only two clean women had run 3:57.54 or better in over a decade. Three did it in the season opener, including a new teen star from Kenya, Faith Kipyegon, who didn't even win. One other person who didn't win - a very happy American in Gabriele Anderson. LRC Women's Steeple: Lydiah Chepkurui Pulls Off A Big Upset Five of the top six from the Olympics lined up but a non-Olympian got the win thanks to a 2:57 last 1k. Doha Non-Distance: Justin Gatlin Wins 100 In 9.97 Over Mike Rodgers As Americans Win 6 Events In Doha Olympic LJ champ Britney Reese won in 7.25m (the longest jump for 9 years), Ryan Whiting won the SP, Michael Tinsley in the 400H (48.92) and Christian Taylor in the TJ. Dawn Harper (12.60) led an American sweep in the 100H over Kelly Wells and Queen Harrison (Lolo Jones was 5th). 2011 World Champ Amantle Montsho Wins 400 In WLing 49.88 Over Allyson Felix And GB's Christine Ohuruogu In the HJ Ukrainian Bogdan Bondarenko got the surprise win in 2.33m as local hero Mutaz Barshim was 2nd (2.30m) and GB's Robbie Grabarz had a poor showing in 4th with only 2.24m. IAAF Article On US LJer Brittney Reese, Who Had The Farthest Jump In The World For 9 Years In Doha With A 7.25m Leap Her goal now is to break Jackie Joyner-Kersee 19-year-old US record of 7.49m. The WR is 7.52m set in 1988 by Russia's Galina Chistyakova. LRC The #1 Recruit In The Land Signs With ... New Mexico? The #1 recruit in the land has decided where he'll be running next year and coach Joe Franklin is a very happy man as a result. Whom do we consider to be the top recruit??? LRC The Myth Of The Sub-2-Hour Marathon The mainstream media thinks it may be close but in reality most people reading this will be dead when it happens. *Science of Sport's Ross Tucker agrees: Pacing, fatigue and the brain. Lessons from London. LRC Meet Conner Paez: "Please don't cut off my leg. Please just don't amputate my leg. I can't lose my leg. I need to run." Two years ago, Conner Paez was on top of the world as a freshman at the University of Pennsylvania (8:16, 14:18). Then his life turned in a second as he was broadsided by a car while on his motor bike. The injuries were bad, very bad. He almost lost his leg, then some toes. Doctors told him he'd never compete again. What's he doing this weekend? Competing again. LRC Ten Training Tips From Bernard Lagat, Dathan Ritzenhein And Abdi Abdirahman The American men took center stage at the NYC Half on Thursday. You can watch video interviews with the top American men (Lagat here, Ritz here and Abdi here) and we will have more on their race preparations on Friday, but in the meantime we compiled ten training tips from Bernard, Dathan, and Abdi that you can use in your own training.